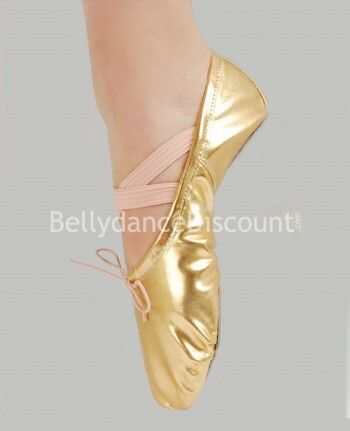 For classes, trainings, and performance, go for these comfortable and cute BellydanceDiscount.com oriental dance ballet shoes! Gold, silver or skin tone color, with shiny fabric and even strass, surely there's the model fit to any occasion or Bellydance outfit so you can dance in style and comfort. Do you prefer dancing with foot pads? Our shop offers a wide choice ranging from the most discreet flesh-colored basic foot pads to the scenic ones decorated with strass or sequins. Finally, beautiful stilettos specifically designed for dancing are offered to complete nicely all your dance outfits.